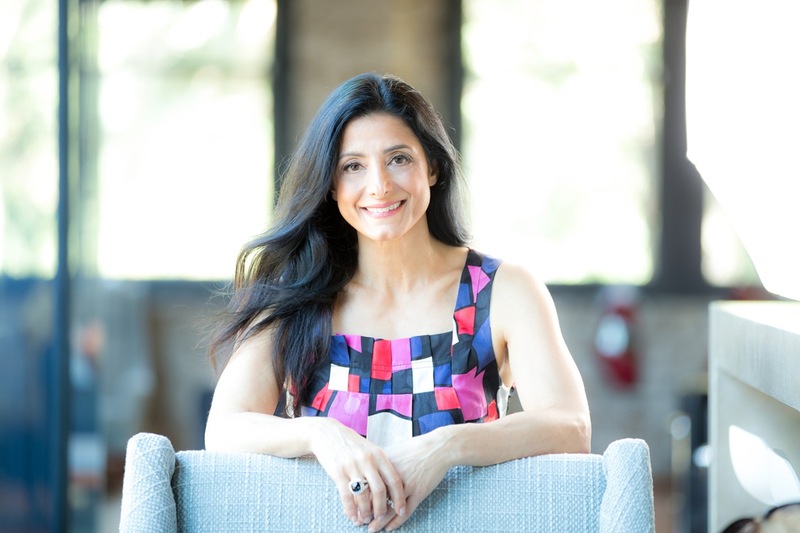 Suzi Dafnis from HerBusiness shares her insights on success and confidence. The first ever podcast interview I did was with today’s guest Suzi Dafnis, so it was a real pleasure to talk to Suzi and learn about her journey, confidence, and the valuable things she’s learned in more than 20 years as a business owner. Originally published on Your Brilliant Un-Career, I am re-podcasting it in Possible. No doubt I’ll interview Suzi again this year, but there are a lot of awesome lessons about confidence and business here that are worth their weight in gold. Suzi runs HerBusiness and she is passionate about helping women business owners and entrepreneurs fill in the gaps in their knowledge so they can be more successful and gain confidence in themselves as women and as business owners. Suzi is one of the women business leaders I admire the most and I think, after listening to this interview today, you’ll see why. So let’s get stuck into today’s episode. Suzi Dafnis is the Community Director and CEO of the Australian Businesswomen’s Network. HerBusiness (formerly The Australian Businesswomen’s Network (ABN)) is an online membership community designed to teach women the skills to start, manage and grow their business. She’s a passionate supporter of women in business and in providing education, resources and role models available to them so that they can fulfill their true business potential. She also co-founded a boutique publishing company, which, over 10 years, sold more than 1.2 million books (including the long-time bestseller, Rich Dad Poor Dad). In 2000 Suzi opened her first business in the USA, an events company that for over six years presented events all over the USA including in New York, San Francisco, and Dallas. People often underestimate how long it will take to get traction on a new business. It’s important to start with some money in the bank. I don’t recommend having multiple brands. If you do, represent yourself according to what value you can bring to that event. What is the message most appropriate to the audience? Build the confidence habit by surrounding yourself with the right people, by connecting with a purpose greater than yourself, by having the skill set you need to succeed. Anything I can attain mastery in, I can feel really confident about. Lack of confidence stops us from taking action. If something didn’t work… was it a gap in knowledge? Do I need to talk to someone who’s been down that path before and get a few more clues, did I budget correctly. What we don’t want to do is make a mistake, have a failure and stop taking action. Failure is part of the process. How do you get more confident? You get more prepared. Take care of the gaps in your knowledge. If you’re going to have a successful business, you have to understand the fundamentals. Don’t shy away from what you don’t know. Dive in and learn. Don’t believe that it doesn’t have a cost. There is an opportunity cost. I would rather know what my current reality is and have a vision for the future than bury my head in the sand. You want to have a little bit of a buffer. It took 1.5 years for Suzi and her partner to pay themselves out of their business. Sometimes it’s the business model or the fact that your product doesn’t have a market. Get help and get a mentor, talk to your accountant. You can recover from being in a financial hole. Being on Twitter is not going to save your business. A solid business with real potential is what’s going to save your business. For me, it’s always been about the mission but if I don’t know the numbers I can’t realise the bigger vision. Be clear with what you want to pay yourself. It can be conservative to begin with, but having a figure gives you a place to go. I never pretend I can do anything on my own. I do plan and I’m very systemised. I know what our marketing is going to be ahead of time. A lot of our processes are systemised. That means if someone does leave, we can bring someone else up to speed quickly. Mentioned by Suzi: Richard Branson: I don’t think about work and play, it’s just all my life. You don’t have to start everything now. If you don’t do it right now it won’t be the end of the earth. Put the big rocks in place first. Mentioned by Cas: What would it be like to be John Lee Dumas and just do podcasting every day? Suzi’s “making the leap” Tip: Surround yourself with people who will call you to attention and keep you accountable. People who do that with compassion. Being around other entrepreneurs who understand what it’s like to bootstrap a business is where I would start.